In some countries, freshwater can be contaminated by a microscopic parasite that causes a disease known as schistosomiasis. Places likely to harbour pests are the shallow edges of lakes and streams with abundant aquatic vegetation. This parasite quickly penetrates healthy skin and enters the blood stream and certain organs such as the intestines, liver and bladder. The incubation period may be long (from 14 to 84 days). 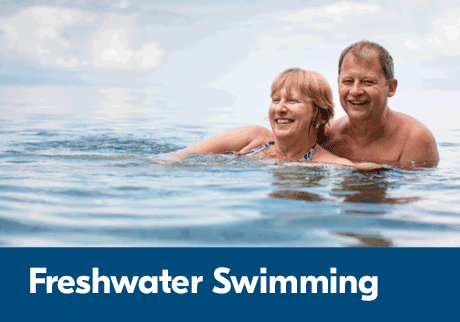 Itching and hives can appear within hours of swimming or up to one week after contact. The treatment is praziquantel, available at your pharmacy. Some freshwater rivers and streams contaminated by animal urine can also contain a bacterium that causes a disease known as leptospirosis. The disease occurs when the bacterium penetrates the skin through a scratch, through the mouth, eyes or nose. The risk increases especially after heavy rain or a cyclone. Certain water sports such as kayaking and rafting are often associated with an increased risk of catching leptospirosis. Direct transmission can also occur from simple contact with infected animals, or by a bite. Leptospirosis can also be spread by ingesting water or food contaminated with the bacteria.